I came into my mom’s life shortly after the loss of her first furbaby and have always been able to make her laugh and smile, no matter what mood she’s in, with my antics and strange faces. Linus is adorable! What a great smile! awe- your doggie cares for you so much! What a wonderful way to cheer up mommy! <3 Adorable furbaby! Linus, you are a treasure, with that big, toothy grin! I also have a weird facemaker/smiler, so I totally get it. Linus, you are a sweetheart! that smile would melt me every time! My little fur baby always cheers me up!!! the healing power of pup! you go linus! keep your mom smiling and us too! You are a perfect puppy Linus. As the saying goes,”Who rescued who”? mine loves to stick his tongue out depending on his reaction on how depressed I am. Completely out if I was crying and only a little pink if only looking a little sad. What kind of whitener does he use? There’s no shame in making your pet human happy! Those pretty little teeth are immaculate too! Great job! Great story. Good boy, Linus! 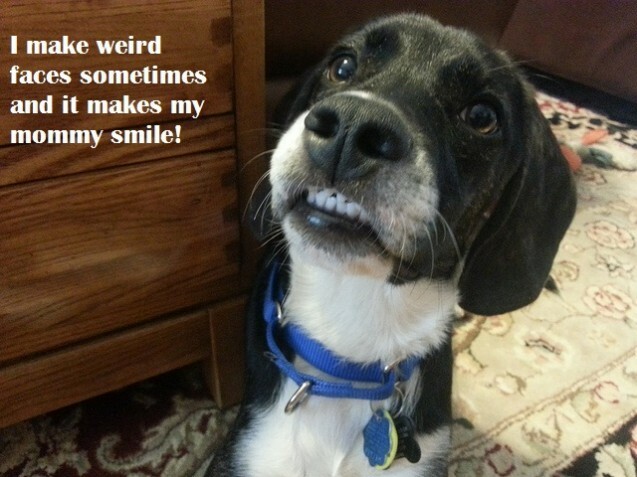 And such sparkling teeth, too! 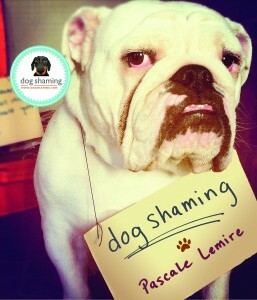 This may be my favorite dog shaming photo ever. So cute!